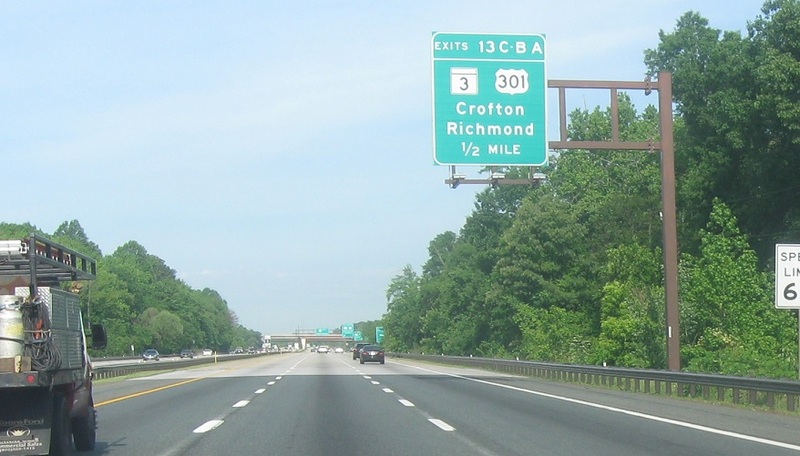 Reassurance shield after MD 424. 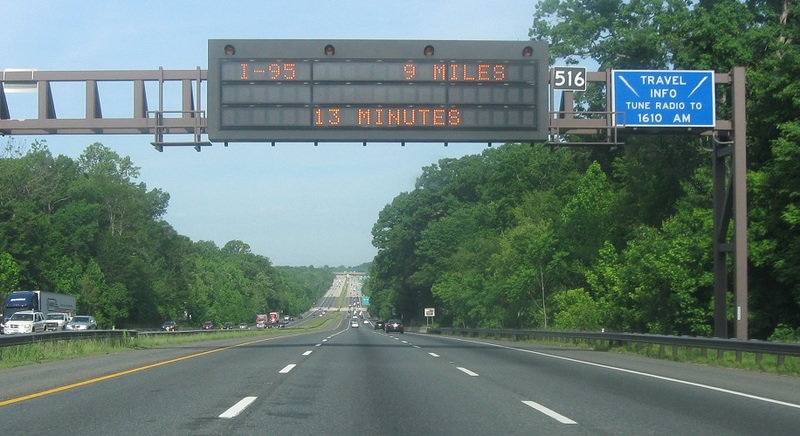 Just after 424, we’re advised that US 301 will split in two miles. 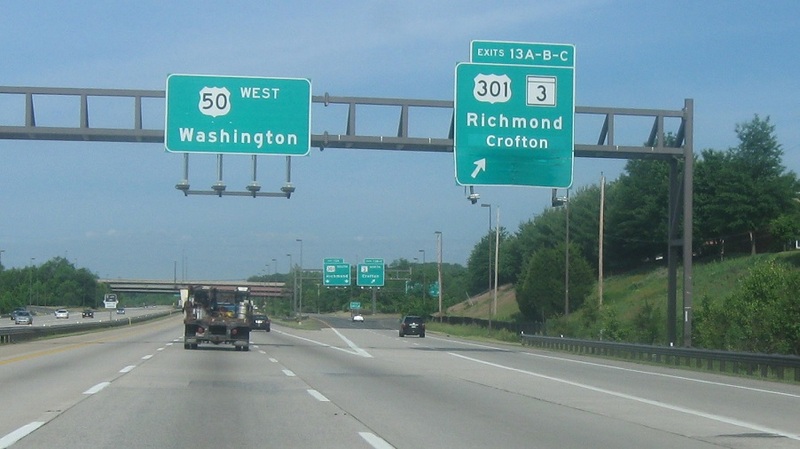 As we enter Prince George’s County, US 301 will split in one mile as we approach MD 3. 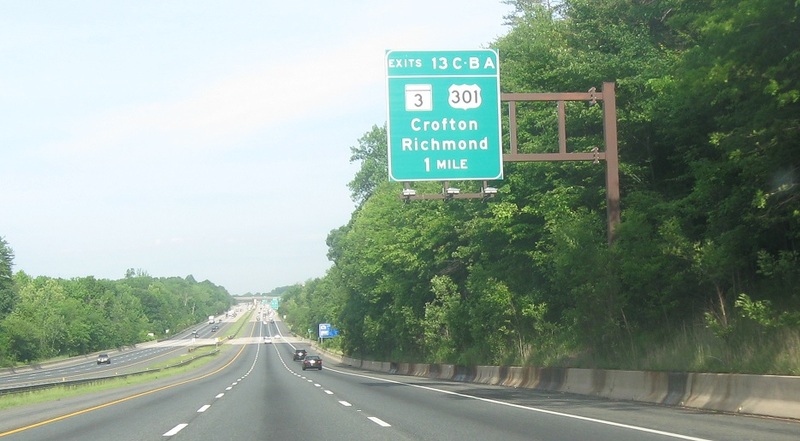 301 heads south to Richmond, Va. while MD 3 heads north to Crofton. 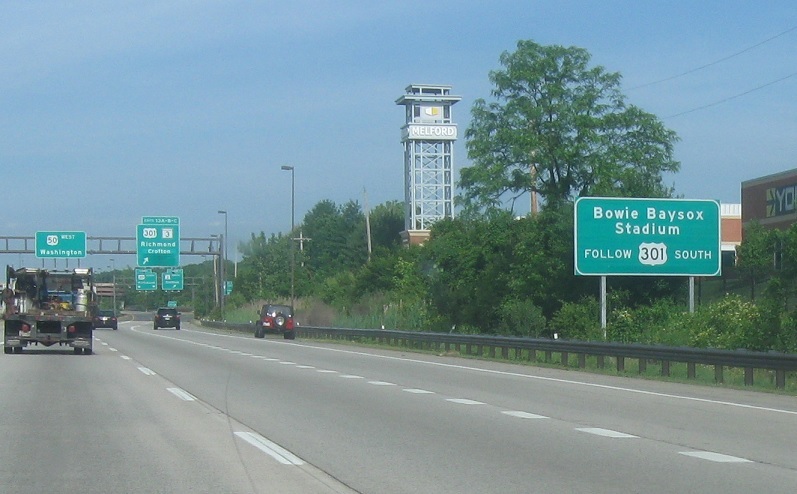 US 301 south also serves the Bowie Baysox Minor League Baseball stadium. 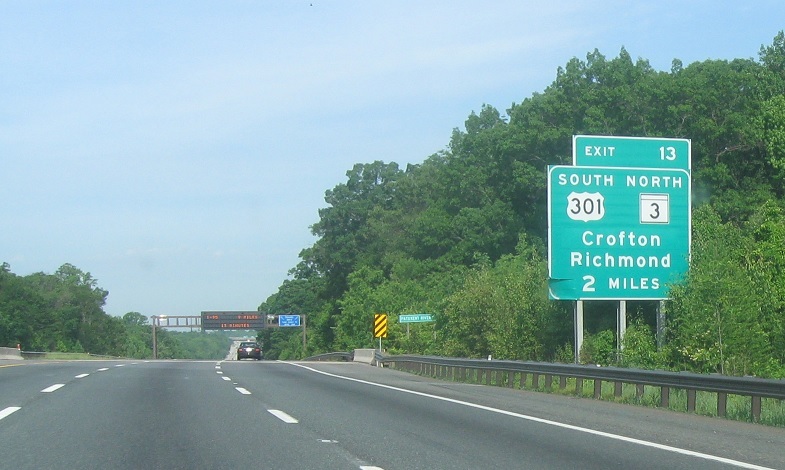 US 50 and US 301 split.